This page shows the latest Patheon news and features for those working in and with pharma, biotech and healthcare. 1, 017. Patheon / Royal DSM and JLL Partners. Merger and acquisition. 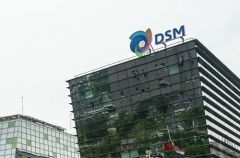 ... DSM and JLL Partners (private equity) acquire. Patheon and merge it with DSM's CMO Pharmaceutical Products Division in a jointly owned Newco. 375. Banner Pharmcaps / Patheon. Acquisition. Gelatin-based oral drug delivery technology.